JVDPPP’s innovative approach to dendrochronology is now producing interesting discoveries. At the recent EuroDendro 2017 conference in Tartu, Estonia, Dr. Andrea Seim unveiled the project’s pioneering approach. In her presentation, Andrea explained how, for the first time in art history, dendrochronology is being systematically applied to individual painters and outlined the results that this can bring. One discovery is that panels made from the same sturdy oak tree, which started growing in a Baltic forest in the Middle Ages and was then cut down and transported to Antwerp in the early seventeenth century, can be found on different paintings by the same artist. They are now spread across the world. For example, one of the two panels of the Andrew by Van Dyck in the Museo Arte de Ponce, Puerto Rico matches one of the panels of Thomas in a private collection in London. The tree was felled between 1610 and 1620. With some 300 panels to go, and we are always searching for more to study, the systematic photography and comparison of the growth rings of the oak trees will herald further discoveries. 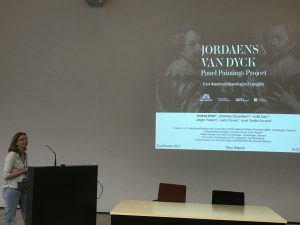 We are especially excited about the possibilities for identifying which small grisaille and brunaille panels related to Van Dyck’s Iconography, the series of engraved portraits of contemporary artists, kings, noblemen and collectors, originated from the same tree or were sawn from the same larger panel. 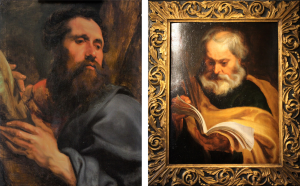 We are already identifying that some of the Iconography related panels were definitely painted after Van Dyck’s death in 1641. Who were responsible for these copies, some of which are very attractive, not devoid of quality but not displaying the master’s touch, and why? 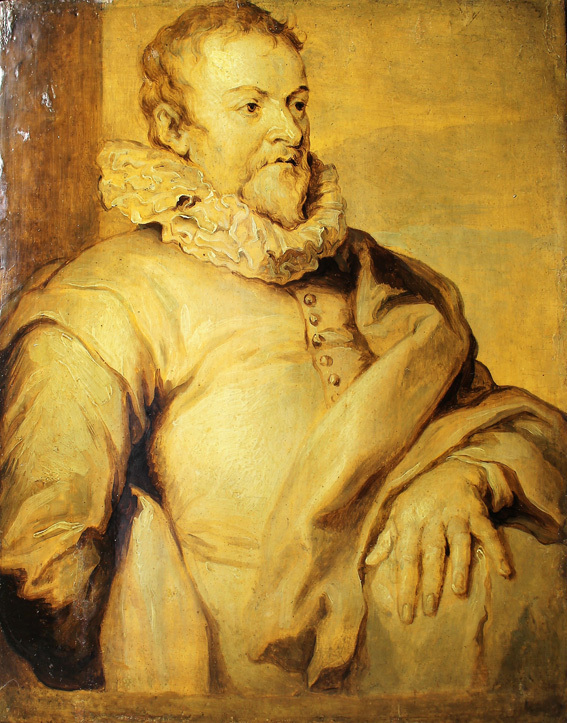 This portrait of the Dutch portraitist Jan van Ravesteyn in Budapest was painted on a panel made from an oak tree which was cut down after 1660. The most recent article on the Iconography panels, by the late Horst Vey in Van Dyck. A Complete Catalogue of the Paintings (2004), considers that Van Dyck’s original model for the engraver Paulus Pontius is the small panel in the collection of the Duke of Buccleuch. It was purchased by his forebear Ralph Montagu at the posthumous sale of the collection of the painter Sir Peter Lely in 1682. Was Lely involved in the Budapest copy? Or other former associates of Van Dyck’s London studio? Andrea has recently taken over from Dr. Johannes Edvardsson as the JVDPPP dendrochronologist. Welcome to her and congratulations to Johannes on the award of the prestigious research grant he had applied for before he joined the project. While we will miss him and he us (we hope), Johannes will not miss working in Lund again, where his young family lives, nor continuing his innovative climate change research in the swamps of Sweden. But once the bug of Flemish Baroque painting has bitten it is difficult to shift. We are delighted that Johannes has agreed to remain as a consultant dendrochronologist to JVDPPP. How to cite: Davies, Justin. 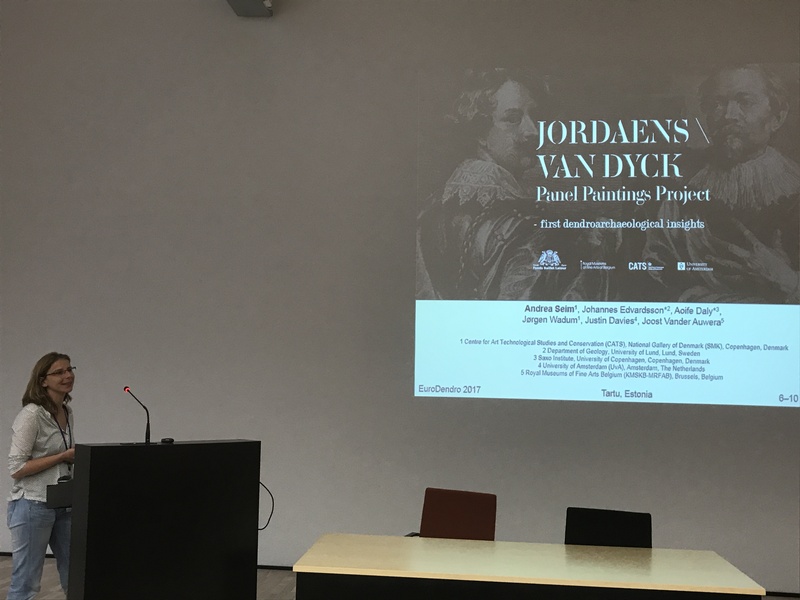 “Van Dyck & Dendrochronology – new approach brings new discoveries.” In Jordaens Van Dyck Panel Paintings Project.